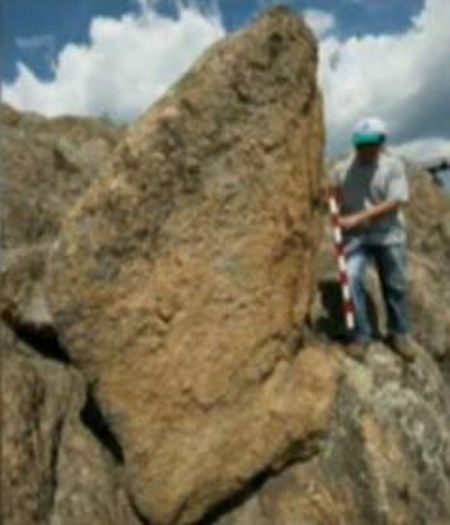 The largest dolmens, a prehistoric single-chamber stone tomb, ever discovered in Bulgaria as well as a “Stone Egg" megalith and a rock shrine dedicated to the sun cult with a huge stele have been found near the town of Zlatosel, Brezovo Municipality, Plovdiv District, in the Sredna Gora Mountain. 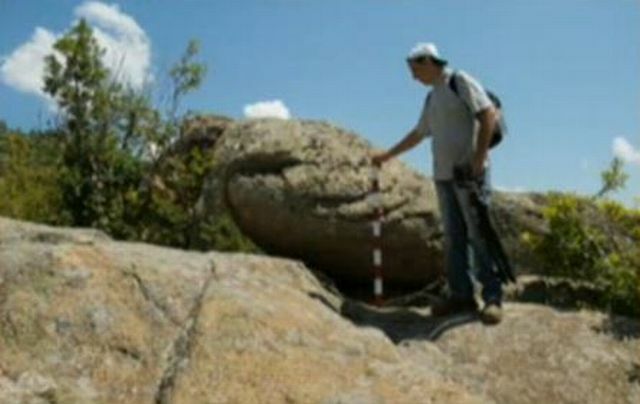 Bulgaria’s largest dolmen, the “stone egg", and the other megaliths near Zlatosel have now been discovered for science, and presented to the media and the public for the first time by Prof. Valeriya Fol, a Thracologist (Thracology is the study of Ancient Thrace), during an expedition co-organized by “Magazine 8", a Bulgarian periodical for popular science. 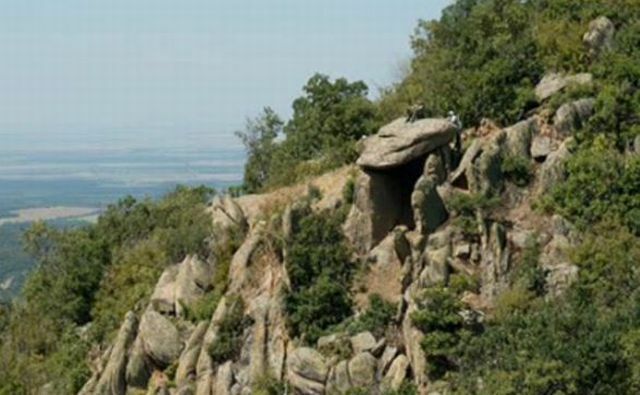 Up until now, the hard to reach megalithic site in the eastern section of the Sredna Gora Mountain in Southern Bulgaria has literally been known only to a few local mountaineers from Zlatosel, and has remained hidden from the archaeological science to date. “This dolmen is part of the earliest aristocratic necropolis in the region of the Brezovo Municipality," says Fol who dates the dolmen and the other megalithic man-made structures around it to at least the 2nd millennium BC. 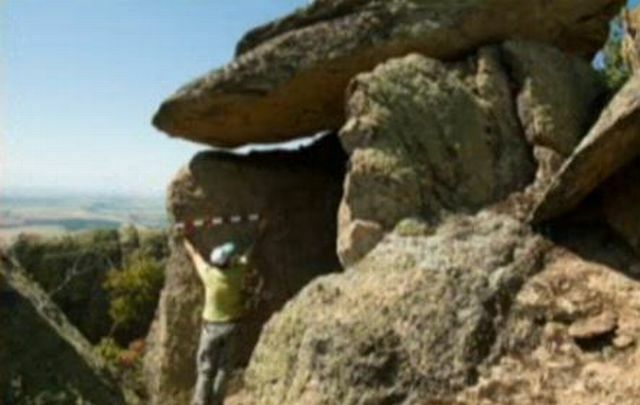 She believes that the newly discovered dolmen was the family tomb of an Ancient Thracian royal or aristocratic family. “This dolmen was indeed just one part of a large dolmen necropolis. Unfortunately, it is the only one of the dolmens that has been preserved standing. It is the size of a two-room apartment. The other megaliths could be lifted [and restored]," the Thracologist has told the Bulgarian National Television answering an expected journalistic question whether the newly found megalithic structures near Zlatosel are similar to Stonehenge in England. Even though several stone circles like Stonehenge have been identified in Bulgaria such as the Ancient Thracian stone circle at Staro Zhelezare (dubbed “The Bulgarian Stonehenge), the megalithic site at Zlatosel does not feature one. The dolmen and the other man-made structures there, however, have been found to be all too impressive in themselves. “Setting off from Sofia or Plovdiv, in just one day you can see megaliths that we have not seen in Bulgaria so far," she adds. Fol emphasizes the beliefs of the people in prehistoric and early ancient times that stone is a divine matter. She adds that the Ancient Thracians believed that they could become “anthropodemon" (from Greek – άνθρωπος (person) and δαίμων (god)), i.e. to acquire a status between human and divine nature. “There are megaliths all over Europe, and also in Africa, Asia, even in Latin America. People in the early ancient times believed that stone is a divine matter. There are even myths that we, the people, came from stone. At a certain point in their development, the ancient societies came to the idea of making such structures, which, I would like to stress that, everywhere in the world are connected with the cult for the sun. That is, the society became structured in such a way that there were people – the rulers and the aristocracy – who could order the others to build for them such type of a tomb or shrine," Fol elaborates. 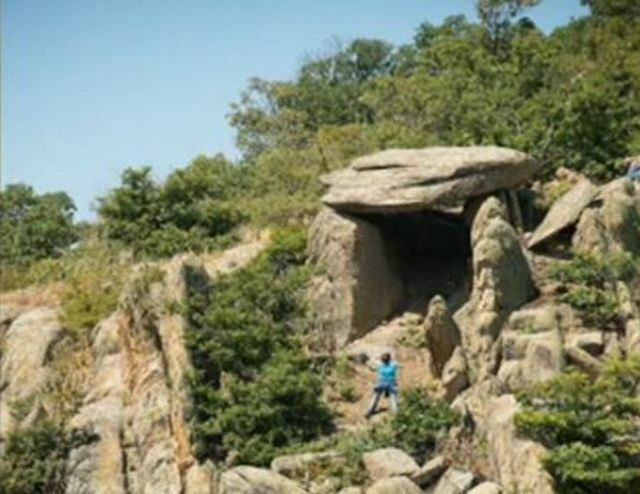 In addition to Bulgaria’s largest dolmen so far, in the same location near Zlatosel the expedition led by the Thracologist has come across a rock shrine with a huge stone stele in its middle and a megalith said to resemble a “stone egg". “This is a rock shrine dedicated to the sun which has a huge stele in its middle. The stone stele alone is 2.5 meters tall," Fol says. The other megalithic structure identified by the expedition on the same area as the dolmen and the rock shrine near the town of Zlatosel is an enormous “stone egg". According to the Thracologist, the stone egg reflects the beliefs of the ancient people having to do with the divine nature of the stone, and symbolizes the birth of life. The entire newly found megalithic site near Zlatosel is described as a “magical place". “The atmosphere there is unique. The feeling is out of this world, and that is why we have called this place “The Divine Stone"," says Zhenya Milcheva, chief editor of “Magazine 8", which is to publish a detailed report of the expedition in the Sredna Gora Mountain. 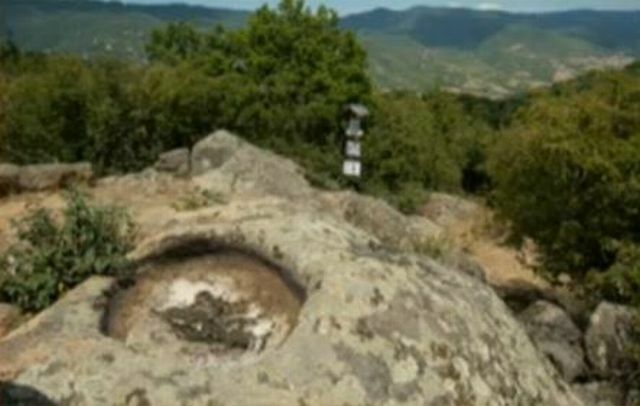 Since the stone egg appears to have fallen on the ground from its supporting structure, Micheva has called for an effort to restore the megalith to the position where it was originally placed by the people who lived in the area several thousand years ago. The dolmen must have a common cause. It is difficult for me to believe the construction of dolmens spontaneous arose in different cultures all over the world around the same time. It is easier to assume is arose in one place and spread. Maybe by traders.